Fifty years ago, the Soviet Union put nuclear missiles in Cuba. History may be repeating itself in the Caribbean. Russian military officials have confirmed they are “considering” basing nuclear bombers in Cuba or Venezuela. They have been offered basing and refueling opportunities. In Venezuela, Iranian missile technicians are building facilities for the basing of Iranian Shahab 3 missiles, whose 2,000-kilometer range is sufficient to reach downtown Miami. John Wohlsetter in his new book “Sleepwalking with the Bomb,” reveals Castro twice pushed the Soviets to launch nuclear weapons against the U.S. – during the 1962 Cuban missile crisis and again during the early years of the Reagan administration. As Keith Payne has explained, the United States and Russia have had a very unique deterrent relationship, where we understood diplomatic signals and the balance of terror was kept from spilling over into a conflict. The U.S. does not have such a relationship with Iran, Cuba, Syria, Venezuela, or North Korea or their “affiliates.” Recklessness or miscalculation could push a crisis into a conflict. Some believe a sound counter-proliferation diplomacy and cyber security are the key future requirements for U.S. security. But a map of conflicts today shows the paramount presence of ballistic missiles and rockets. This is consistent with Robert Kaplan’s prescient argument in the “Revenge of Geography” and “The Geography of Chinese Power” that missiles are becoming the coin of the realm among our adversaries. Tony Cordesman’s new CSIS study on China’s burgeoning inventory of ballistic missiles confirms it as the most aggressive of missile and rocket makers in the world today. The attorney for the city of New York has twice indicted Chinese firms for helping Iranian rocket makers. The U.S. recently announced a “pivot” toward the Pacific, to quietly challenge the rise of Chinese military power. However, given what we now know about Cuba and Venezuela, we may need a pivot toward our own Hemisphere, a “Monroe Doctrine Re-Pivot”, as we see the greater Caribbean become a base for Iranian terrorism. 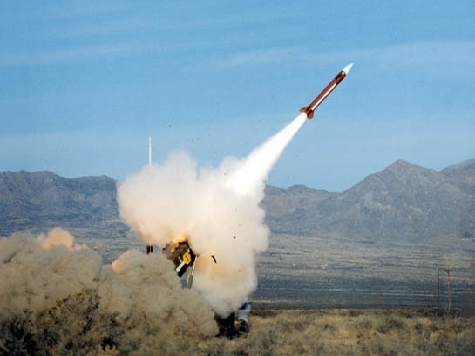 On cue, the Senate Appropriations Committee this summer added $500 million to missile defense in its spending bill, and specifically increased funding for PAC-3, Iron Dome and Aegis-based Standard Missile-3 (SM-3), Block 1B. The timing couldn’t be better. First, this move is notable because it comes from a usually frugal defense committee. Second, it is a welcome realization of the validity of our Combat Commanders argument that our inventory of ballistic missile interceptors needs to be beefed up considerably. Especially serious is the threat of a missile launch from the ocean where a nuclear weapon detonated many tens of kilometers above Washington, D.C. would cause an Electronic Armageddon, stopping American life as we know it. Aegis cruisers armed with SM-3 IB missiles are one cost-efficient way to stop that threat. Iran has tested rockets in this mode and has talked openly about using such a capability. A ocean launch hides the origin of such an attack, shrouded as it would be in the broad Atlantic or Caribbean. The threat is, therefore, not that a terror organization would steal a nuke, but would be the agent – an “affiliate” – of a terrorism sponsor, such as Iran. Attribution, the key for deterrence, would be absent. Missile defense plays a particularly beneficial role here. The timelines for short- and medium- rockets to reach their targets are less than those associated with traditional Cold War deterrence. In addition, short warning times makes communications and diplomacy a difficult channel to use. And leaders in Iran, Syria and other rogue states are both unpredictable and prone to recklessness, making traditional deterrence difficult to sustain at best. Protecting our east and gulf coasts from emerging maritime threats is a difficult but doable task. Many have assumed the task is too costly and the threat not very probable. But that is an old Washington trick; if you have failed to identify an emerging threat, dismiss it. If the threat then emerges and cannot be ignored, claim it’s too costly to do anything about it. When then faced with evidence that a few hundreds of millions per year can be added to our missile defense inventory to do the job, well, then mumble.